911 Call & Police Body Cam Footage From Venus Williams’ Fatal Car Crash Released! 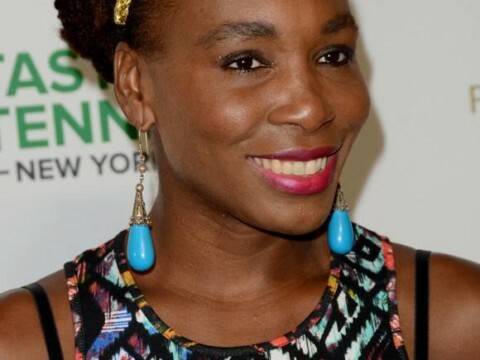 As we reported, Venus Williams was involved in a nasty car accident last month at a Florida intersection, where Jerome Barson died two weeks later from his injuries. While footage from the scene has since cleared Miz Williams’ name in the criminal investigation, the victim’s estate is still suing the tennis player for allegedly causing the fatal collision. Related: Venus Files Court Docs From Her Wrongful Death Lawsuit! On Thursday, the 911 call and police body camera footage — of Williams, Barson, and his wife Linda — were released. In one of the calls, a female witness identifies Venus, says “she was unfortunately at fault,” and says the couple are injured and are unable to exit their vehicle. In the second clip, the Barsons sit in their Hyundai — with their airbags deployed — and are visibly shaken. As authorities approach the two, Jerome covers his knee with a bloody towel. Previous articlePolice Searching For Man Who Set LGBT Youth Center On Fire! Next articleMiranda Lambert Vows She ‘Won’t Take Pain For Granted Anymore’ AND Straight Up Refuses To Pen A Political Song! Police Searching For Man Who Set LGBT Youth Center On Fire! Whoa! Michelle Rodriguez Threatens To Quit Fast & Furious Over Treatment Of Female Characters!